GUILDERLAND – Sarah Veronica McDowell Dolan Ridge Baggesen was blessed with a peaceful passing on Sunday, November 1, 2009. 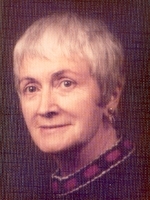 She was born in New York City but moved to Albany in 1950. Even now, however, she always considered herself a “New Yorker.” She worked in the offices of the Great Atlantic & Pacific Tea Company until their closing in the Albany area. She then started working at the Teresian House where she was in charge of the residents’ private funds. When she retired at 80 years of age she continued to faithfully volunteer in the Country Store at the Teresian House until a broken hip slowed her down. Everyone always enjoyed visiting with someone with a great gift of gab and Irish wit. Sarah took great joy in every day and will be missed for her positive attitude toward life and people. She could always find something good to see in anyone. A ride in the car to see the sights was always a special treat for her. Earlier in life she enjoyed her many trips to Florida, Maine, Cape Cod and Rhode Island with her Bridge Club and other wonderful friends. She especially enjoyed a trip to visit relatives in Great Britain and Ireland. In recent years she has looked forward to vacations on Long Beach Island, New Jersey and Sandy Point, Maine. She was predeceased in her passing by her son Patrick Ridge, first husband Thomas F. Ridge, her second husband Christian E. Baggesen, her sister Mae McClutchy and brother James McDowell. She was also predeceased by her Aunt Mamie and Aunt Bridgie who raised her. She is survived by her daughter Maureen Ridge, a sister in law Patricia Courtney and many nieces and nephews. She will be greatly missed by her loving companion, Beau, who was never far from her side. A Mass of Christian Burial will be celebrated Thursday morning at 10:00 in Christ the King Church, Sumter Ave., Guilderland. Relatives and friends are invited, and may call at the church from 9-10 a.m. Thursday. Interment will follow in Gate of Heaven Cemetery, Valhalla, New York. To leave a message of condolence for the family, or view or print a prayer card, please visit www.HansFuneralHome.com. WHAT A BEAUTIFUL PICTURE OF YOUR MOM MAUREEN AND SUCH A NICE WRITE UP. I WILL MISS HER AND AM HAPPY I HAD THE HONOR TO KNOW HER. SO GLAD TOO THAT WE HAD TIME WITH HER AT THE BEACH THIS PAST SUMMER. My deepest sympathy to you, Maureen. My thoughts and prayers are with you. Maureen, just a few words of condolence to let you know you are in my thoughts and prayers. I will keep your mother in my prayers. You will miss her dearly but memories held in your heart will always be with you. Our thoughts and prayers are with you. The girls especially send you their condolences and hugs. My sympathy to you at the loss of your mother. In many ways our mothers were heros for keeping our uniforms clean and making certain our lunches were packed everyday during our years at AHN. May you feel the love of those around you, and find comfort in the memories gathered along the path of your mother’s life. I do not recall ever having had the opportunity to meet your mother, but I remember from your stories that she was a woman who loved life. Her obituary indicated the same. Luckily, you are blessed with many memories of the wonderful times you spent together. You were a devoted and loving daughter. I hope you can take some solace from that. My thoughts and prayers are with you at this sad time. May God heal the pain in your heart.